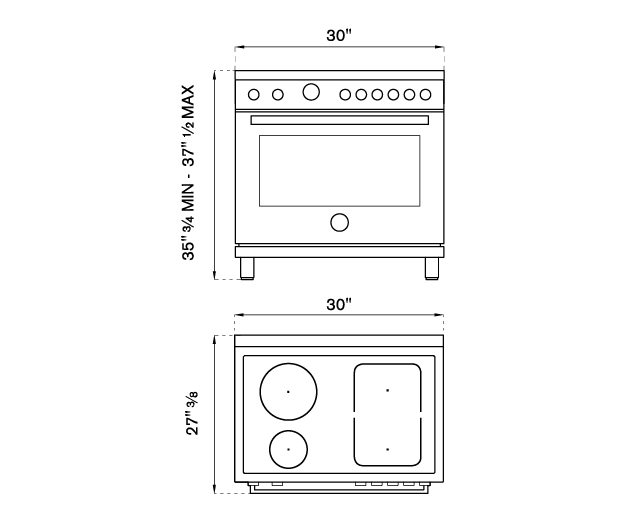 This all-new induction range has 4 high-power heating zones with maximum power output of 3700W. The right-side heating zones can be bridged to create a larger cooking area. Each induction area is controlled with knobs and has a convenient read-out interface on the glass worktop.